Two weeks ago, Tommaso Ciampa became NXT Champ. Last week, Gargano attacked Ciampa, and Black kicked Gargano. A pretty good exhibition for Cross. Nova got a little offense, but it mostly consisted of putting Cross in a straight jacket which allowed Cross to build up for a quick comeback. The rest of the match was Nova getting beat up. Keith Lee is limitless, and he’s here tonight. Bask in his glory. Ricochet’s music plays, but when the lights come on, the Undisputed Era drags Ricochet’s unconscious body to the ramp. Adam Cole says he’s not a coward, and he’ll be keeping his North American Title at Takeover. Vanessa Borne says her game plan tonight is to win. Jaoude has an interesting look, and seeing his capoeira style in action could be fun, but Ohno shut him down quickly. Jaoude took a lot of heavy strikes from Ohno. This was a pretty brutal squash. EC3 visits Velveteen Dream at a swimming pool. EC3 wants to fight Dream at Takeover. Dream doesn’t like to be disrespected. He also doesn’t like it when EC3 throws him into the pool. This was a good debut for both men. I expected a squash for Lee, but Marthel did get some offense. Still, this was definitely Lee’s match. He looked good and showed how agile he can be. The Street Profits have trouble remembering that TM61 is now called The Mighty. This was okay. I think both women still need some work, but up until the end this was alright. THe finish was strange. It seemed like Borne was reaching for something under the ring, but she ended up just holding onto the apron and she was being dragged into the ring by Conti. And the finishing move looked like it was supposed to be something else. As it happened, it was just kind of a slam where Conti fell on top of Borne. If the finish had been more clear, this would have been a better overall match. Cain Velasquez is in the crowd. This was good for the short time it took place. Ciampa came out after a couple of minutes and started a brawl with both men. Ciampa, Gargano, and Black brawl after the match comes to an abrupt end. Referees come out to break it up. William Regal comes out to the stage. Regal says this situation is out of control, but he’s not going to try to stop it. At Takeover, Ciampa will put his title on the line in a triple threat match against Gargano and Black. This was interesting. Except for the main event, all the matches on tonight’s show were about building someone up. 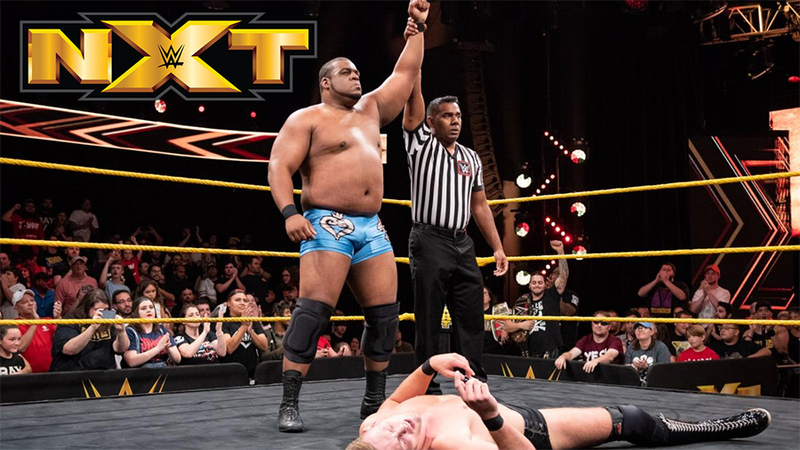 Cross and Ohno had exhibitions which they probably needed, and Keith Lee debuted against another debuting superstar, Marcel Barthel. Plus, Conti was built up in what was essentially a promo for the Mae Young Classic. I like shows like this every few weeks. It’s a good way to get some lesser names known and to get some of the known names some positive time in the ring. None of tonight’s matches were great, but they weren’t necessarily meant to be. And as much as I enjoy watching Ohno beat someone up, the Lee/Barthel match was probably the best overall bout.